With Hardik Pandya sidelined with an injury sustained during the Asia Cup, Ravindra Jadeja has kept his place. Rishabh Pant has expectedly been included in India’s 14-man squad for the first two ODIs against West Indies, with Virat Kohli returning as captain after skipping the Asia Cup, which India won under Rohit Sharma’s captaincy. From that squad, Dinesh Karthik has been dropped for Pant and Siddarth Kaul has been replaced with Mohammed Shami, who last played an ODI in September 2017. The BCCI selection committee headed by MSK Prasad and comprising former India cricketers Devang Gandhi, Sarandeep Singh, Gagan Khoda and Jatin Paranjpe met in Hyderabad on Thursday to pick the squad and opted to name Pant as the second wicketkeeper behind MS Dhoni. 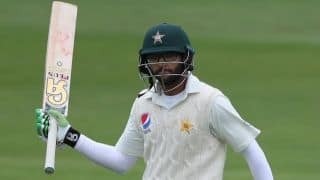 Pant’s last two innings in Tests have been 114 and 92 to underscore the belief that he has reached a stage where he’s comfortable at international level. 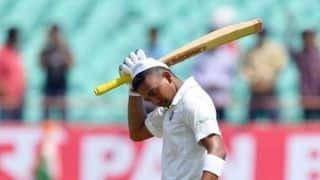 The 21-year-old has played four Tests and four T20Is but is uncapped at the ODI level, and could be in line to make his debut as early as the first match on October 21 in Guwahati. With Hardik Pandya sidelined with an injury sustained during the Asia Cup, Ravindra Jadeja has kept his place after making a successful comeback to the ODI squad in the UAE. Bhuvneshwar Kumar and Jasprit Bumrah have been rested and Rajasthan seamer Khaleel Ahmed, who impressed in the UAE, has been retained. Shardul Thakur is the other pace option alongside Shami. These five ODIs are India’s last in the format until January, when they face Australia in Australia, and with the deadline to submit squads for the 2019 ICC Cricket World Cup being February, the Indian team has still not locked in a middle order. ODI squad: Virat Kohli (capt), Rohit Sharma, Shikhar Dhawan, Ambati Rayudu, KL Rahul, Manish Pandey, MS Dhoni (wk), Rishabh Pant, Ravindra Jadeja, Yuzvendra Chahal, Kuldeep Yadav, Mohammed Shami, Khaleel Ahmed, Shardul Thakur.